Video appeals to both sight and sound in such a small span of time. It immediately captures the attention of an audience while leaving a lasting impression. 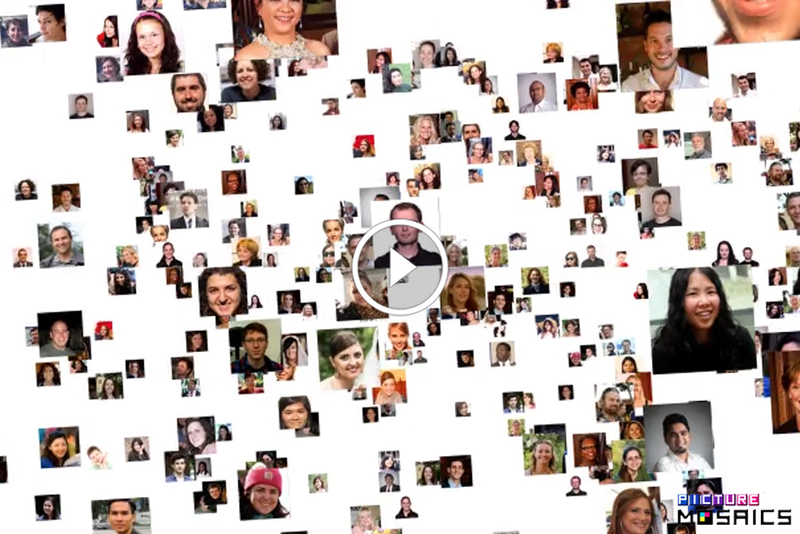 Seeing dozens of employee photos coming together in one captivating animation – pretty cool, right? With this in mind, Picture Mosaics has made an incredible upgrade to our Online Mosaic Tool. In just a few minutes, you can turn your photos into a dynamic video mosaic perfect for your next presentation or conference! Learn more about creating your own video mosaics and see how other companies brought the wow factor to their presentations.